Hapoel Tel Aviv: E.T. 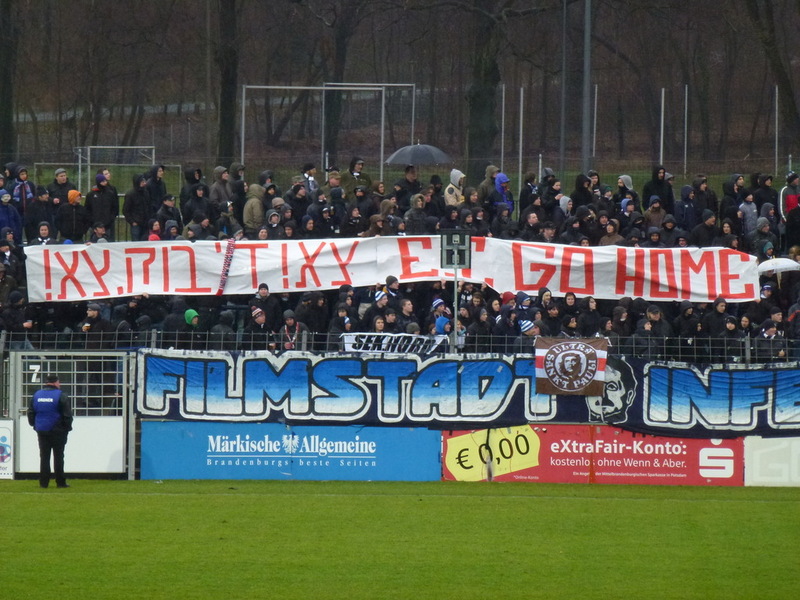 – Go home!! Bei Hapoel Tel Aviv haben sich Fans aus allen Stadionbereichen zusammengeschlossen um den Präsidenten Eli Tabib loszuwerden. Der Konflikt schwelt schon länger, u.a. wurde der Stadionbereich Gate 5 der Ultras Hapoel von der Vereinsführung geschlossen. Nachfolgend findet ihr den Text, in dem die Fans sich und ihr Anliegen vorstellen und erklären. We are a group of Hapoel Tel Aviv supporters, of all ages. We occupy all of Bloomfield’s different stands. We are not affiliated any organization, non-profit organization, or business interests. We are all supporters who live the club, we read every word published about it, we keep contacts with people inside the club and with its players, attend the matches, and follow our team from up close. We are not funded by any outside body. We are not professionals, and none of us make a living off this protest. We all take part in this struggle in our spare time, out of love, care and fear to the club’s future. Ever since Eli Tabib’s arrival at the club, we had witnessed its management conduct itself in a manner disastrous to the club’s future, a manner which we still witness every day. A long standing dispute with former partner Moni Harel left the club paralised, and carried with it a heavy price in the form of a lost championship title. A harsh and offensive attitude towards the club’s players, its staff and its employees; Recurring dismissals of staff members, including those who Mr. Tabib himself recently brought to the club; Belittling the club’s supporters, lies and schemes designed to divide them amongst themselves; Suspicious financial conduct, causing huge damage to the club’s reputation and stature in the eyes of European clubs and potential business partners – all these from a person who already has the dismantling of two football clubs under his belt, and who has a criminal record (including convictions for fraud and forgery) which would be barred from owning a football club by any properly managed FA. Our protest is not a personal protest against Eli Tabib. 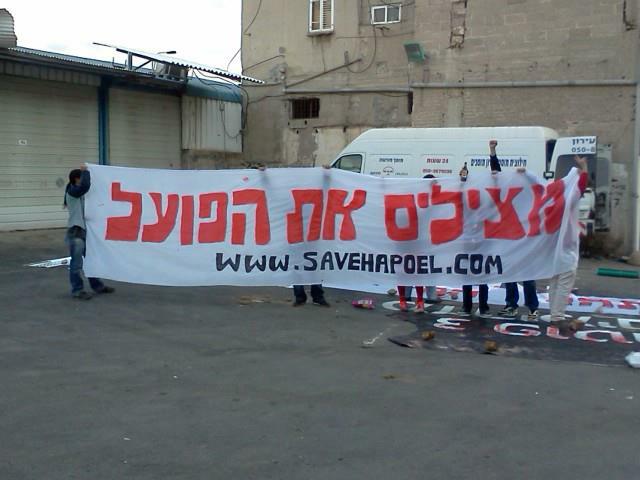 We protest for Hapoel Tel Aviv, not against anyone or anything. We are not interested in the identity of the club’s owners, but rather in the way they function and their conduct. Had we believed and seen Mr. Tabib conduct himself in a professional and businesslike manner, had we known that the benefit of Hapoel Tel Aviv is what guides him, had he been treating Hapoel Tel Aviv as the home of a wide community (the way we believe it should be treated, rather as another one of Mr. Tabib’s business ventures) – in such a case we would have supported him in any way possible. We waited and hoped that despite his criminal record and his well known past as a destroyer of clubs, perhaps Tabib arrival at a club of Hapoel Tel Aviv’s stature would cause him to change his ways. We were disappointed to discover this was not the case. It is our understanding that the struggle to save Hapoel Tel Aviv will be long and complex, and will require the mobilization of masses of people over a long period of time, and in many different ways. We do not believe in a violent struggle, and think that through informing the public we could attain our goals. The website www.savehapoel.com will be the main source of information regarding our different activities.